The Truth About Cancer LIVE 2017 is in the history books. Over three amazing days, we heard 40 leading cancer and health experts share their research and knowledge on how to heal and prevent cancer naturally. What people heard and saw over last weekend changed their lives dramatically … and filled us with hope for a cancer-free future. We hope you had a chance over the weekend to tune in to some or all of the LIVESTREAM event. If you did… it was impossible to see each and every speaker. With nine breakout sessions and three stages -- along with a dozen keynote speakers -- you’re sure to have missed something. But we’ve got great news… You have a second chance to see the event. Ty and his team recorded the entire event. 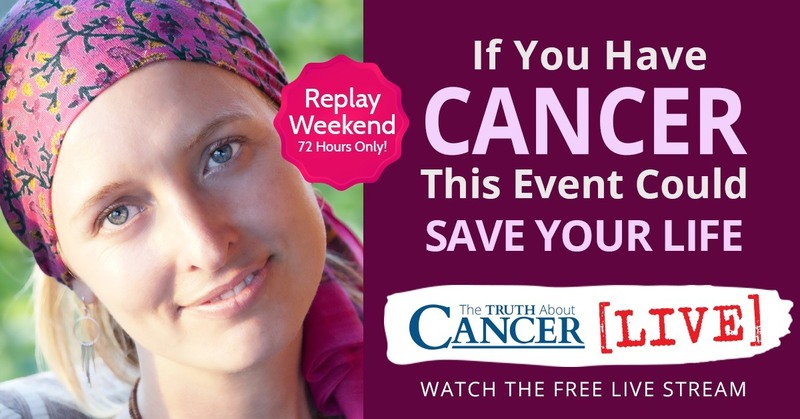 And this weekend, you can tune in once again as The Truth About Cancer LIVE 2017 -- the entire weekend -- is replayed. Starting on Friday, October 13th at 8:30am Eastern, Ty will replay the whole event online for you to watch for FREE.